Until some time ago, Dynamic Ads were available through the Power Editor only. Not anymore. 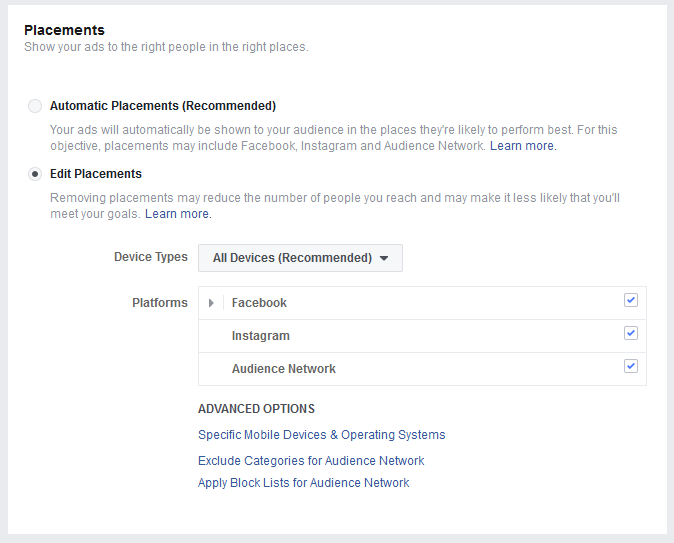 Facebook brought this fantastic feature to its main tool, the Ads Manager. You just have to select “Promot a product catalog” as your campaign objective. and make the dynamic template. Have you noticed how after you browse an online store but you don’t buy something, Facebook shows you ads with products from that site? And sometimes the exact products that you looked at. 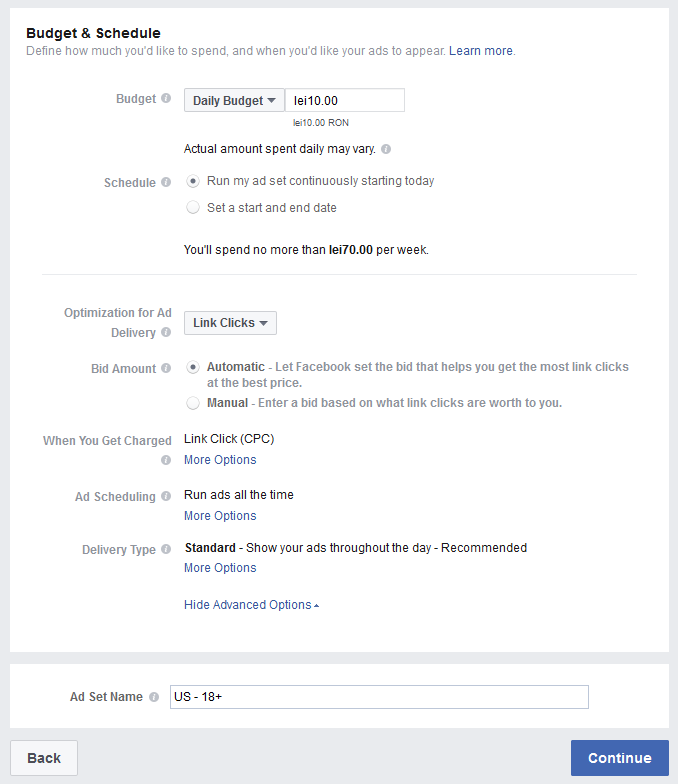 You can easily do this too with Facebook Dynamic Ads. This use to be a feature accessible from the Power Editor only, but not anymore. 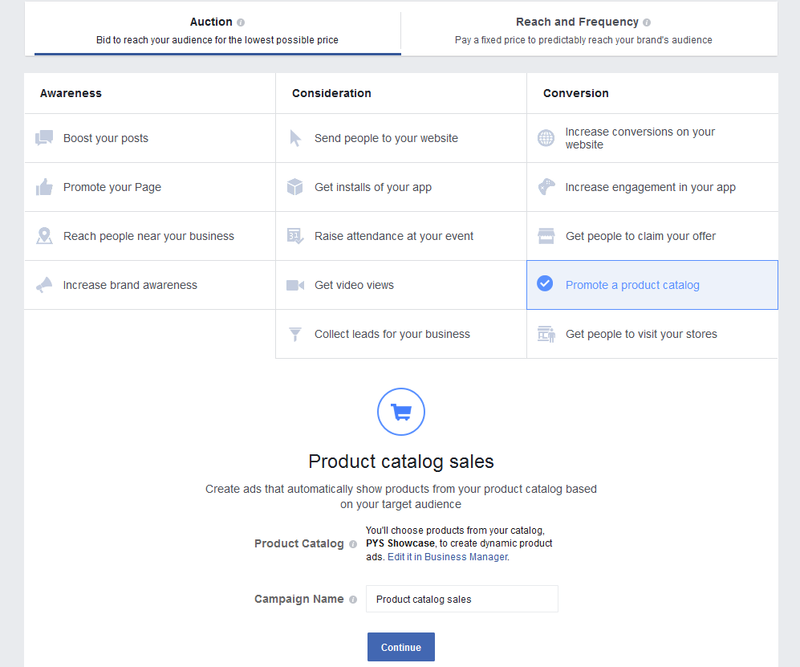 You can now start a Dynamic Ads retargeting campaign from the Ads Manager by selecting ” Promote a product catalog” as your ads objective. 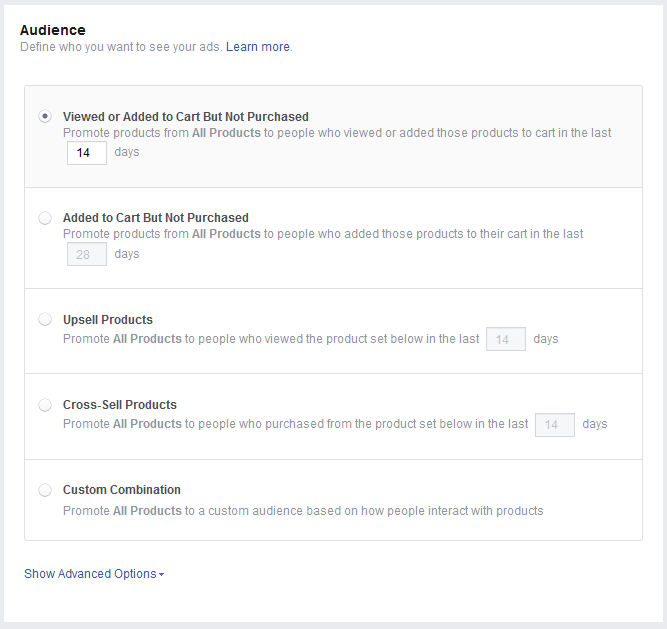 Simply click on green “Create Ad” button and select “promote a product catalog” as your objective. Name your campaign and click Continue. Choose the product catalog you want to promote. Remember, you must first create a product catalog from your business account and populate it by uploading a product feed. View or Added to Cart But Not Purchased – Your ads will target any visitor of your shop that didn’t buy your products. Very powerful. 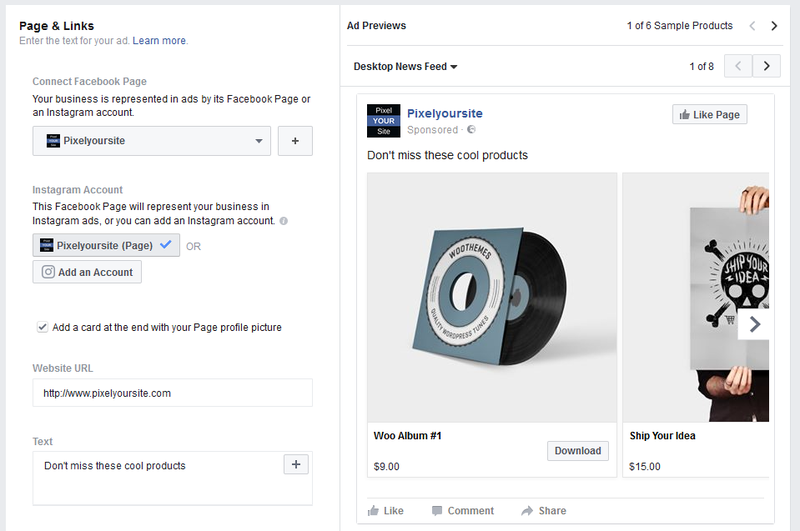 Cross-Sell Products – You will define a set of products that visitors must buy first, then Facebook will show them the rest of the products in your catalog. Excellent to expand your offer for existing customers. At this point, you will have to create a template for your dynamic ads. Everything looks more or less the same as for the rest of your ad types, but there are a few differences: you can use dynamic elements, like product price or name, with the data being automatically pulled from your product catalog. Click on the + sign to add dynamic content to your ad creatives. You can use Name, Brand, Description, Price or Current Price. The data will be taken from your Product Catalog. Select a call to action button and add URL parameters to better track your ads. Important: Select the right pixel to track ads conversion. This has to be the same pixel you are using on your site and for the Product Catalog. There is always a live preview where you can see how the ads are going to look like. This is just a sample, based on a few products from your catalog. Once you are happy with the result, click on the Place Order button. Easy: If you are using PixelYourSite plugin you are all set. All the necessary data for Dynamic Ads is automatically pulled from your WooCommerce site. The plugin adds VewContent event on product pages, AddToCartEvent on the cart page and on add to cart button click, Purchase event on thank you page. All the events pull the product ID (or SKU) and product type, as needed to run Dynamic Ads. Open PixelYourSite go on WooCommerce tab, activate each event and save the settings. 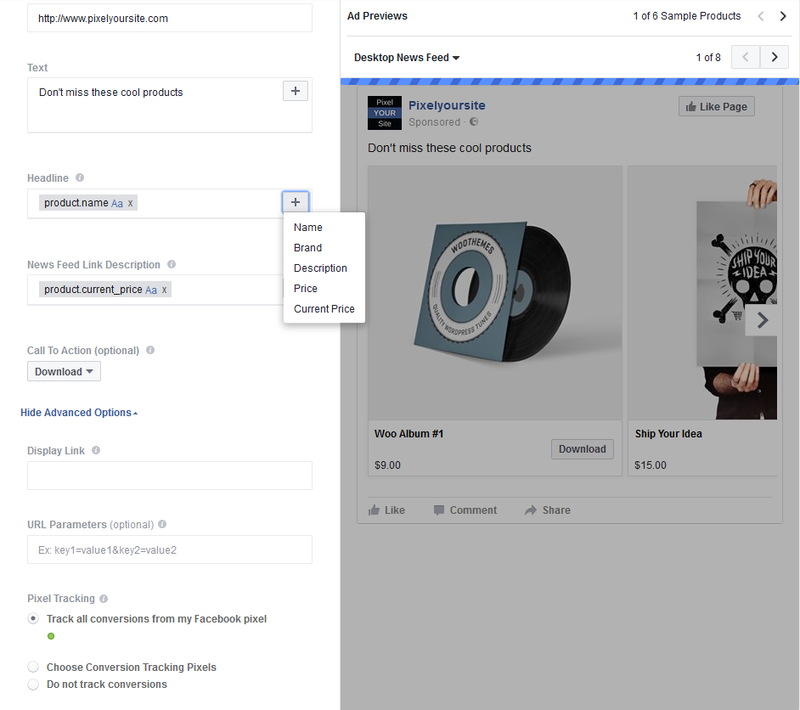 A product catalog, sometimes called a product feed, is a list of products you would like to advertise on Facebook. Each product in the list has specific attributes which can be used to generate an ad- a product ID, name, description, landing page URL, image URL, availability, and so on. We have a special article on How to Create your first Dynamic Ads Product Catalog. You will create a dynamic template that will be automatically filled with product data. Use keywords to pull in images, product names, prices, and more dynamically from your product catalog.